This game follows the stories of all those movies that have a virus spreading all over the place and only few are able to survive. If you like the movies like that, you will probably like the story in Infected: The Twin Vaccine. Other than a great story it also offers some pretty good gameplay mechanics and features. There is a global epidemic and your only hope is a little girl who is supposed to be the key to finding the cure. She was a twin sister of the first case with this virus. But unlike her sister she survived. Having read these few lines you know what kind of landscapes and places you need to expect in this game. Other than a great story it also offers some pretty good gameplay mechanics and features. For one, how about Custom made mode? If you really want something that is not there you can go to that mode and fix it. It sounds exciting, doesn't it? The game's presentation is just wonderful. The movie scenes with real actors and realistic voice overs create perfectly creepy atmoshere. There is a map in the game that you can use, but it is not necessary really. It only tells you where you are and the names of the locations near you. 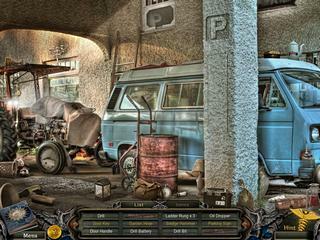 The hidden object scenes are very interactive. This seems to be the new feature of the searches for items. You get to interact with almost every item in order to find another one. 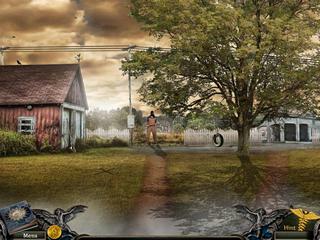 All in all the game is a treat for the hidden object puzzle adventure genre fans. You really found a way to make this whole porecss easier. This is Infected: The Twin Vaccine review. Download this game here.